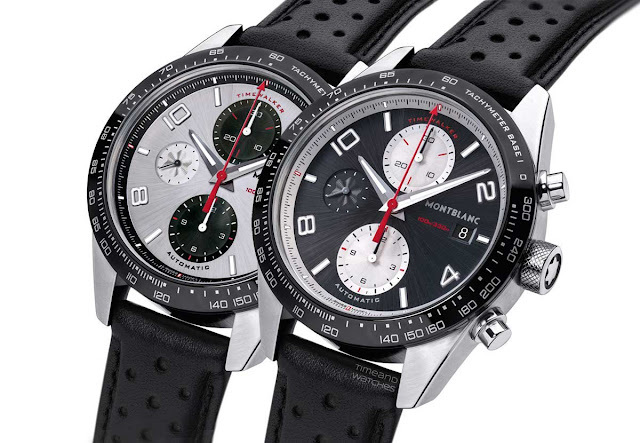 Montblanc is presenting two new TimeWalker Chronographs with “panda” and “reverse panda” dials. 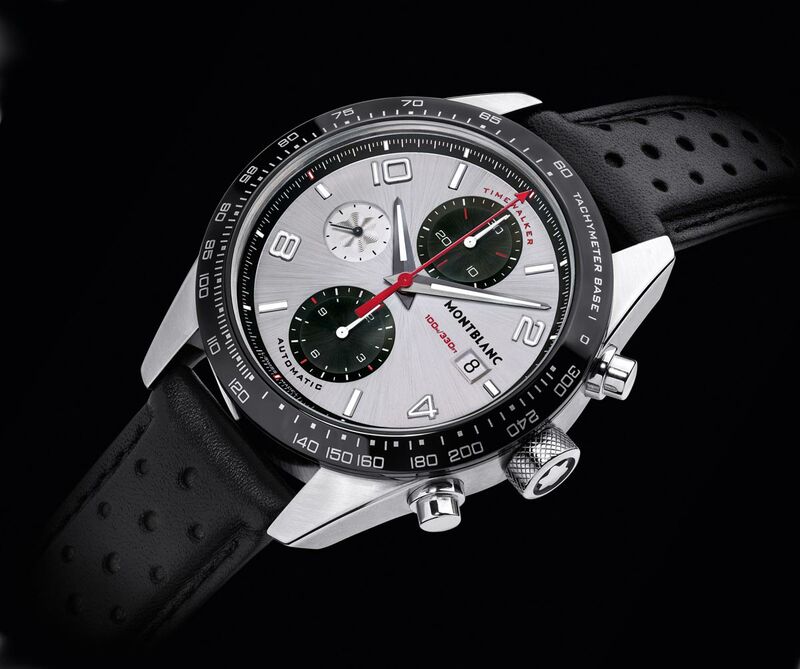 Black and white “panda” and “reverse panda” dials became popular in the 1960s and 70s during the golden age of motor racing. The striking contrast between the colour of the dial’s background and the counters was appreciated for both its great readability and unique aesthetic. 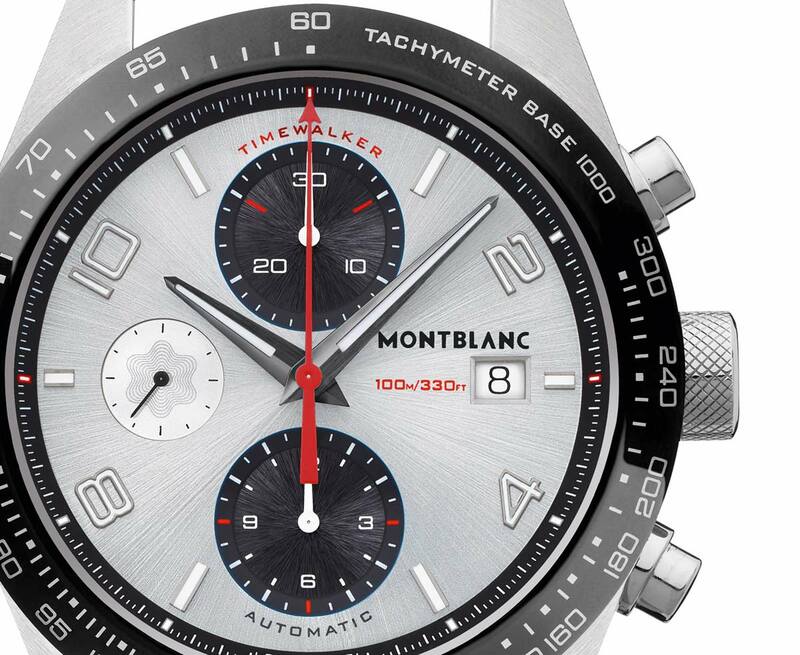 The new Montblanc TimeWalker Automatic Chronographs come in a smaller size — 41 mm vs 43 mm — compared to the TimeWalker Manufacture Chronograph that was presented at the end of 2017. But this is not the only difference. The dial of the new 41 mm chronograph displays the counters at 6 and 12 o’clock, while the 43 mm version features them in the traditional 3-6-9 layout (3, 6 and 9 o’clock). Super-LumiNova is used for numerals and indexes, as well as for the minute track on the flange, for enhanced legibility. While the 43 mm version is equipped with the MB 25.10 manufacture movement, the new 41 mm references house the still reliable but less refined automatic Calibre MB 25.07 (base Sellita SW500) beating at 28,800 vibrations per hour with a power reserve of 42 hours. Water-resistant to 10 bar (100 metres / 330 feet), the case of the TimeWalker Automatic Chronograph features satin-finished horns and a fixed ceramic bezel with a practical tachymeter scale for timing speed. The “panda” model (ref. 119940) is characterized by black counters on the white background. Colours are swapped for the “reverse panda” dial (ref. 119941). 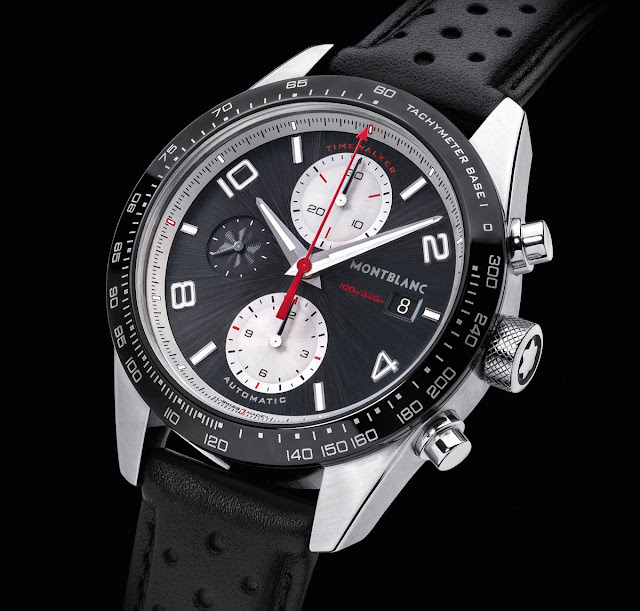 Completed by calf leather straps with perforations, the new Montblanc TimeWalker Automatic Chronographs are tested by the Montblanc Laboratory Test 500 which simulates real-life wear for over 500 hours and controls the finished and assembled watch. 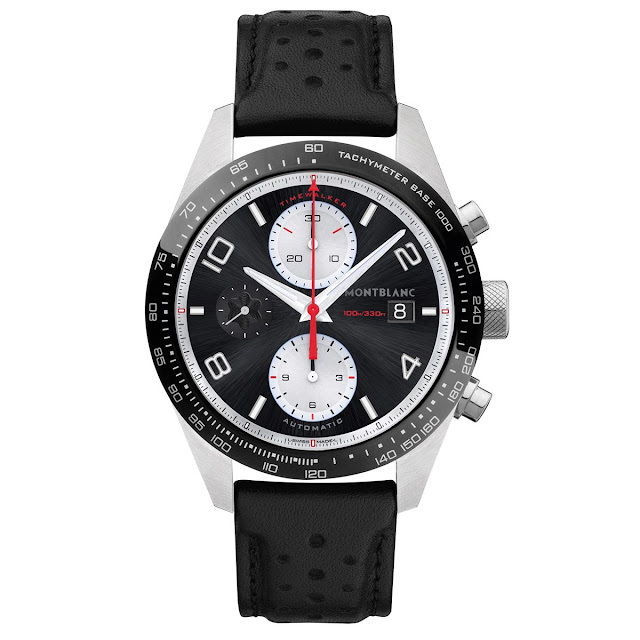 I prefer the size (and the price) of this model but the dial is better with 3-6-9 layout. SIHH 2019: Montblanc is presenting two new TimeWalker Chronographs with “panda” and “reverse panda” dials that come in a size of 41 mm. The “panda” model (ref. 119940) is characterized by black counters on the white background. Colours are swapped for the “reverse panda” dial (ref. 119941). Price and specs.